Bamboo | Infonet Biovision Home. The species forms the bamboo zone in moist highlands at 2,400 - 3,000 m. Found in the Timboroa Plateau and on Mts Kenya and Elgon and on Loita Hills and the Mau Range. It has an upper limit of 3,360 m, Agro-ecological zones I-II. 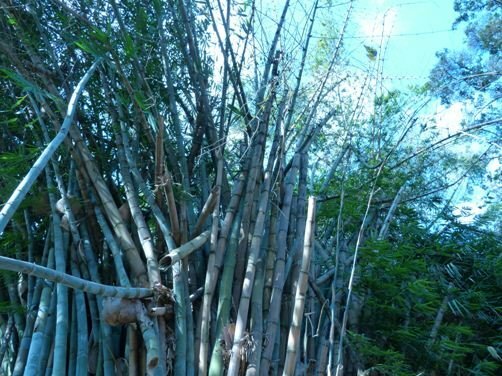 Bamboo may be found in plantations, on boundaries, in groves and in soil protection areas Propagation may be through rhizomes, natural regeneration, seedlings (possible though rare). The seeds watered daily will germinate readily. Bamboo may be used as fodder. There is no information about the disease and pests that affect A. alpine. It is not a serious problem though.